Whether online or at a brick-and-mortar store, there are countless opportunities to reach today's shopper throughout their journey. While they make purchase decisions, write shopping lists and more. Chicory builds tools that help brands navigate every consumer touchpoint, for a total approach to grocery retail. Chicory uses recipes, and the data gathered from recipe traffic patterns, to influence online consumers who are in-market for grocery products. Learn more about our advertising. "Shoppability" has always been at our core. 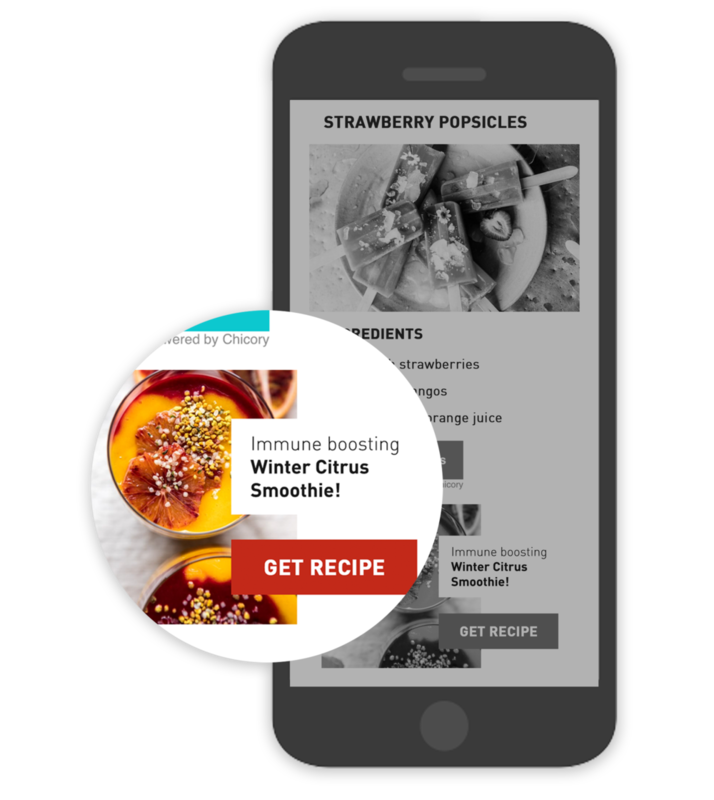 We started with our Recipe Activation technology, which connects recipe content to online grocers in just a few clicks. Today, we apply our shoppable tech and retailer partnerships to any consumer touchpoint. Learn about our ecommerce capabilities. We're, first-and-foremost, a technology company. Guided by our AI-powered recipe parsing technology, we've developed never-before-seen capabilities for the grocery industry and have the first, and most sophisticated ingredient-to-product mapping available in the market.